Geoffrey Le Blanc Smith. Born 1883. C Social 1896. He was a Junior Scholar, became a Prefect, and represented the school at Cricket, Soccer and Fives. After school he went to University College, Oxford. He was a member of Oxford University Athletics Club, representing the University in long jump and hurdles. In 1913 he went out to Kenya as a farmer. He served with the East African Forces during WW1 and was awarded the MC. Oswald Austin Reid. 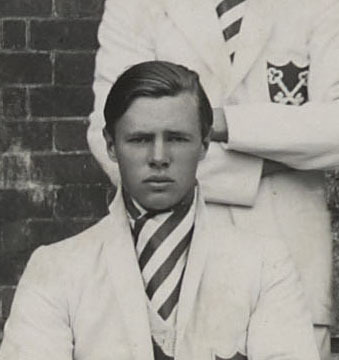 Born in South Africa in 1893, he came to Radley as a sixth former in 1910 and was rapidly appointed Senior Prefect (Head Boy.) 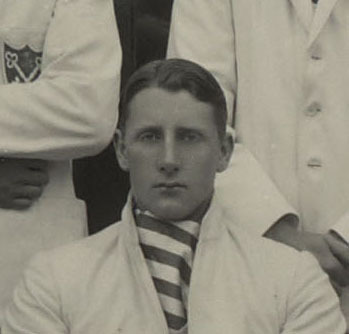 He was lauded as one of the finest cricketers Radley ever produced, particularly as a wicket keeper. He served in Mesopotamia during WW1. He won the VC for his defence of the Dialah River in 1917. Hugh Bernard Morkill. Born 1896. Came to Radley in 1910. 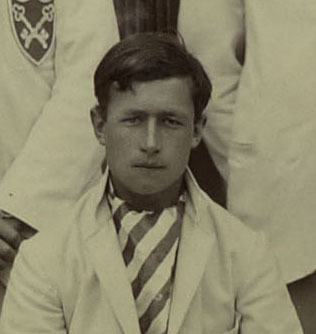 He played cricket for the school and was also a member of the first ever Rugby XV in 1914. After school, he attended Sandhurst and became a professional soldier with the Green Howards. In WW1 he served in India and Palestine. In 1917 he was seceded to the newly created RAF. 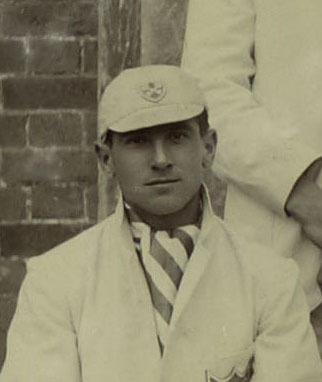 Leonard Hugh Hodgson. Born 1902. Came to Radley in 1916. He served as Director of Stores and Transport for the British Red Cross during WW2, for which he was awarded the OBE. Edgar Thomas Brainard Meyrick-Jones (aft. called BET Meyrick). Born 1901. Came to Radley in 1915. Awarded an Exhibition. Became a Prefect. Played cricket and rugby for the school. After school he studied at Keble College, Oxford. He became a schoolmaster who spent most of his career teaching at Berkhamsted School. Alistair Edmunds Blair. Born 1904. Came to Radley in 1918. Became a Prefect. He played cricket, rugby and fives for the school. He lived in Ceylon (now Sri Lanka) from 1924. He played cricket for Ceylon in 1927, and football in 1926, 1928 and 1930. Awarded the MBE. Geoffrey Coker Arding Adams. Born 1909. Came to Radley in 1923. He became the Senior Prefect. 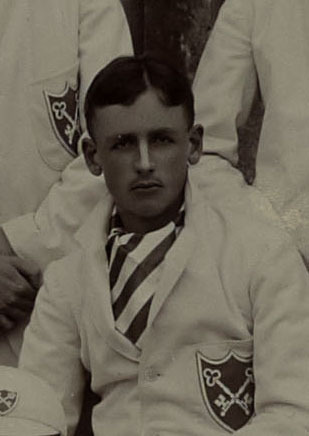 He played cricket, rugby and fives for the school and was Victor Ludorum in athletics for 1926, 1927 and 1928. 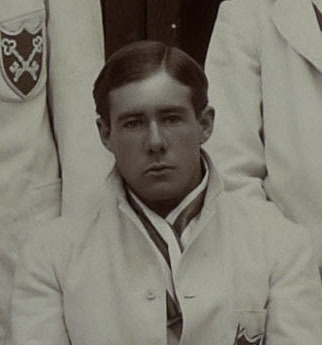 After school he attended Pembroke College, Cambridge where he won his Blue playing rugby for the university. He went on to play rugby and cricket for Hampshire. He became a journalist and was President of the Australian Provincial Press Association from 1959-62. Paul Ian van der Gucht. Born 1911. Came to Radley in 1925. Became the Senior Prefect. He played cricket, fives and rackets for the school. 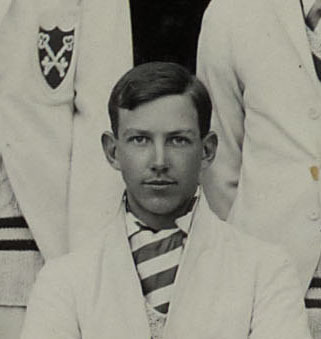 He won the Public Schools Championship for rackets and the Public Schools Rackets Singles Handicap in 1930. He played cricket for Gloucestershire from 1932 (as Vice-Captain 1933), and for Bengal in 1935-39. He was a Prisoner of War in Italy and Germany from 1941-45. 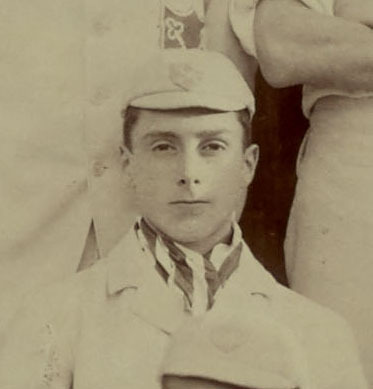 William Howarth Vestey. Born 1912. Came to Radley in 1925. He was a Prefect, and was awarded the College Modern Languages Scholarship. 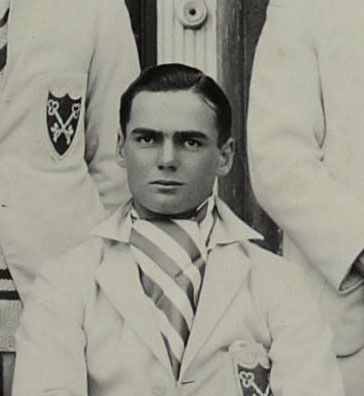 He played cricket, rugby and rackets for the school and was Victor Ludorum in athletics in 1930. 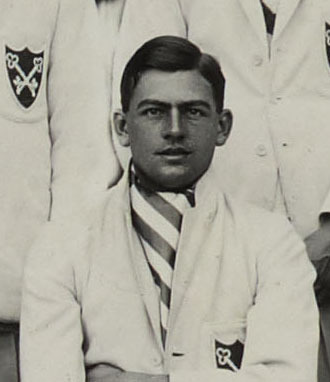 With his partner, Paul van der Gucht, he won the Public School Rackets Championship in 1930. 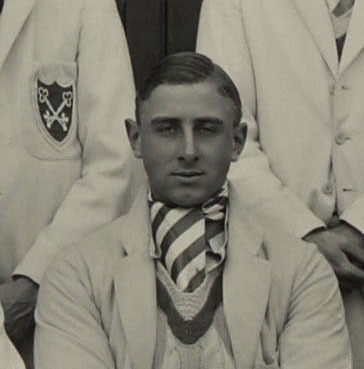 He went up to Christ Church, Oxford, where he represented the university in athletics (relay) and v Cambridge at squash rackets 1931-32, rackets 1933, real tennis 1933. In 1938 he won the Australian Amateur Squash Rackets Championship and the Gold Rackets Singles Championship at Melbourne. He was killed in action in Italy in 1944. Hugh Pochin Dinwiddy. Born 1912. Came to Radley in 1926.Became the Senior Prefect. He played cricket, rugby and fives for the school. After school he went to Pembroke College, Cambridge. He played rugby for Cambridge University 1934-35 and had an England trial in 1935. 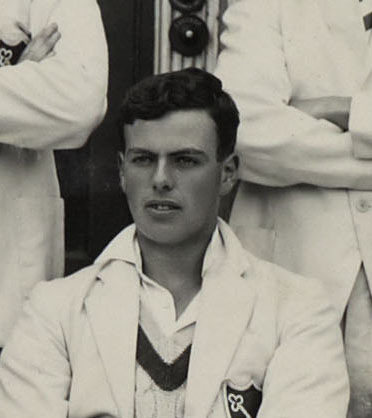 He played cricket for Kent 1935-36. He became a schoolmaster, initially teaching at Ampleforth College, eventually becoming Warden of Northcote College and Lecturer in English at Makerere University College, Uganda. John Cragge Guy. Born 1913. Came to Radley 1927. Became a prefect. He was a Junior Scholar who won the Richard’s Gold Medal, school’s most prestigious academic prize, and the Hetherington Scholarship. He played cricket, rugby and fives for the school. He went to Wadham College, Oxford, where he played rugby and fives for the university. He became a colonial officer in Nigeria. Guy Philip Stubbs. Born 1915. Came to Radley 1928. Became a Prefect. Played cricket and rugby for the school. He attended Corpus Christi College, Oxford. Most of his later career was with the Hong Kong and Shanghai Bank in Manila. 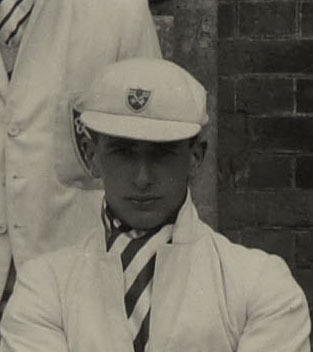 Geoffrey Basil Stanger. Born 1917. Came to Radley 1930. Became the Senior Prefect. Played cricket, rugby and fives for the school. He went to Magdalen College, Oxford where he took a Masters in Chemical Engineering. He went on to work for Shell, eventually becoming the Managing Director of Burmah Shell Refineries, Bombay (now Mumbai). 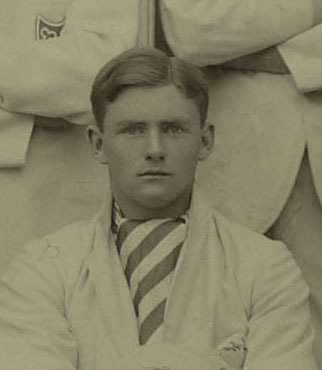 John Guy Mackarness. Born 1920. Came to Radley as a Junior Scholar, 1933. He played cricket, rugby and fives for the school. He went to University College, Oxford. In his later career he became a journalist, then specialised in economics research and industrial training.